The Navingo Career Event of the maritime, offshore and energy sector is Europe’s biggest career event in the sector. Meet top companies on the extensive exhibition floor or participate in the broad conference program where knowledge is shared and there is room for discussion about career opportunities and developments in the sector. The thirteenth edition will take place on 23 May 2019. 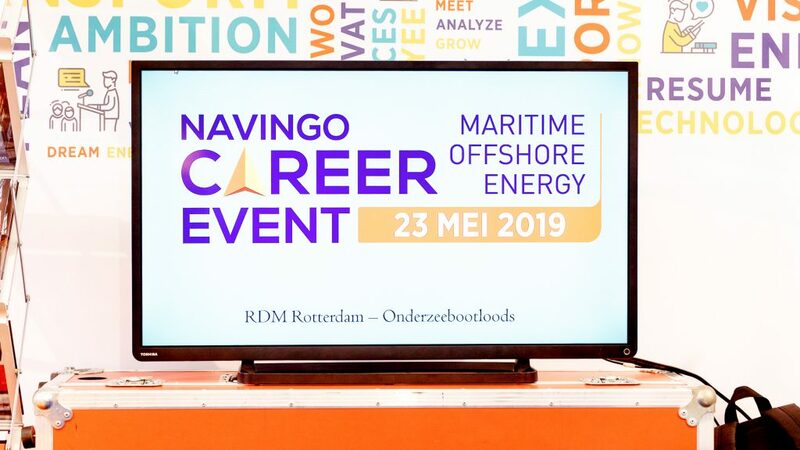 The Navingo Career Event will take place at RDM Rotterdam Onderzeebootloods. “We are extremely happy with the new location, which is known as an innovation hub. With its dynamic environment and industrial character, this location is the perfect venue for our event”, says Anne Visser, Business Unit Manager at Navingo BV. The organization, together with its partners expects to welcome partners from Holland and abroad. The Navingo Career Event is more than just a place where companies and jobseekers meet each other. “We are still creating an informal meeting place between active and latent jobseekers and companies in the sector, but we also offer visitors a conference program with sessions, presentations and Master Classes”, Visser continues. “With themes such as career planning, sustainable employability and the energy transition we want to create awareness with visitors and inform them about the next career step”. This makes visiting the event not only interesting for those who are looking for a new challenge, but also for (young) professionals who want to be aware of the latest developments. The Navingo Career Event, previously known as Navingo Maritime & Offshore Career Event (MOCE) is being organized this time for the 13th edition. With companies from the entire supply chain, the Navingo Career Event is the biggest and most complete career event in the maritime, offshore and energy sector of Europe.